A boutique hotel with a floating spa in England’s countryside. 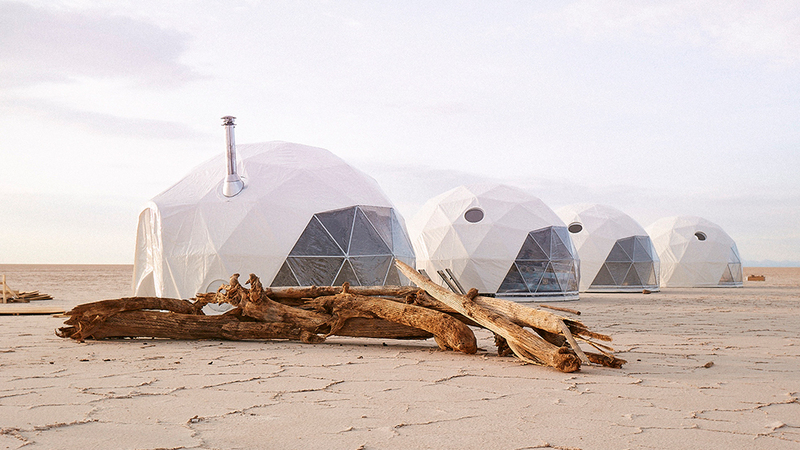 Luxury domes in the middle of Bolivia’s salt flats. A top-to-bottom remake of one of the world’s legendary hotels in Singapore. These are just a few of the reasons we’re excited to travel in 2019. As we hunker down for winter, we’re setting the countdown for the openings of some truly incredible properties this year, from spa retreats to lavish resorts to tented camps across the globe. Here, we’re predicting an entire year’s worth of the best in travel- let’s go! 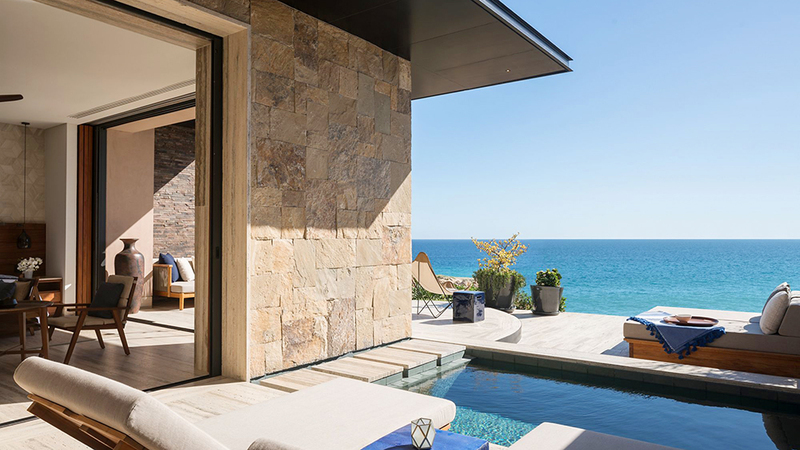 After what seems like eons of waiting, the first new Reserve property from Ritz-Carlton in three years will finally open its doors this summer in Los Cabos, Mexico, joining the three other ultra-luxurious properties in the exclusive portfolio. Cabo is seeing an unprecedented number of luxury resorts launching this year, including properties from Four Seasons and Nobu, but we’re most impressed with Zadún, a Ritz-Carlton Reserve thanks to its spectacular beachfront location, two pools, five-acre wellness haven, 27-hole golf resort with three distinct courses designed by Greg Norman and Jack Nicklaus and four restaurants and bars. 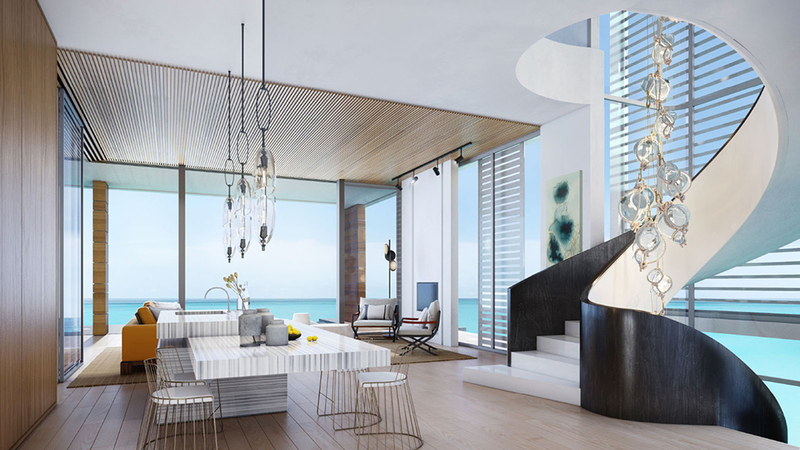 There will be 115 suites and one- and two-story villas, each with a personal butler and many with a private plunge pool. If you can’t relax here, we’re out of ideas. 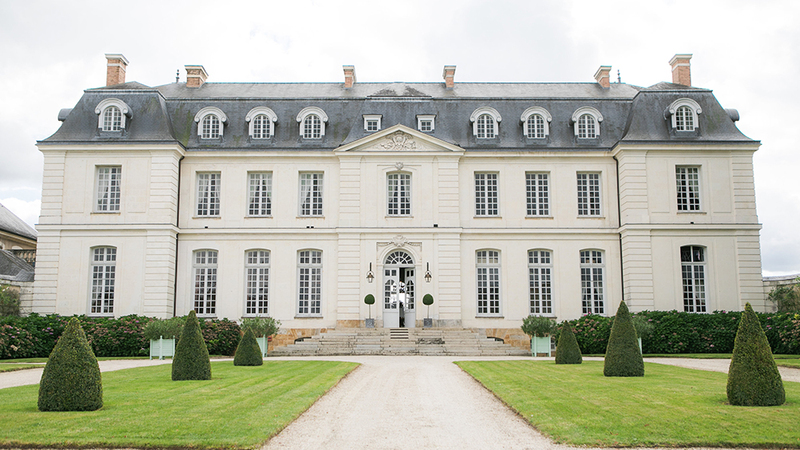 Does France need more chateaus-turned-hotels? If it’s the Hotel Château du Grand-Lucé, our answer is a resounding yes. A former Loire Valley country home of the Baron Jacques Pineau de Viennay from 1760, the château is being returned to its 18th-century splendor after a careful private restoration under the guidance of the French government. Having played host to luminaries like Voltaire, Rousseau and Mozart, the property oozes an unapologetically opulent (and undeniably French) style. The 45,000-square-foot château, set to open this spring, will have 17 rooms and suites, a spa and fitness centre, a grand ballroom, formal and informal dining rooms, orangeries and nearly 80 acres of impeccable French gardens and grounds. Over-the-top doesn’t begin to explain the lavishness here: From original boiserie walls with wooden details to stunning chandeliers dripping with crystals to custom fabrics from French luminaries like Pierre Frey, Christian Lacroix and Jean Paul Gaultier, the Château du Grand-Lucé will give Paris grandes dames a run for their money. Four Seasons is entering the wine business with the introduction of its Four Seasons Napa Valley this summer. The property will have its own winery operated by Thomas Rivers Brown and a hand-farmed vineyard visible from the 85 rustic-chic rooms and suites with private terraces. 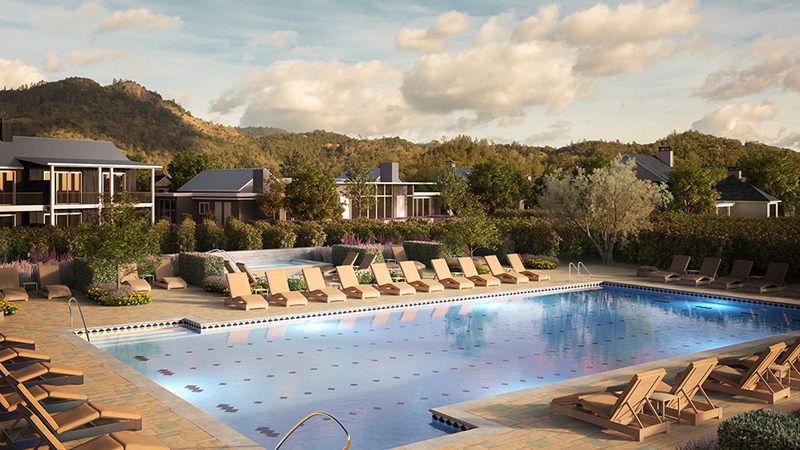 Dining options will be top-notch- this is Napa, after all- with a restaurant, pool grill and a general store stocked with local gourmet picnic necessities. There will also be two outdoor pools and a stone-clad eight-room spa featuring outdoor treatments using mineral-rich local mud. Our favorite detail? The two cabanas hidden among the vines, which can be used for spa treatments and private dinners. 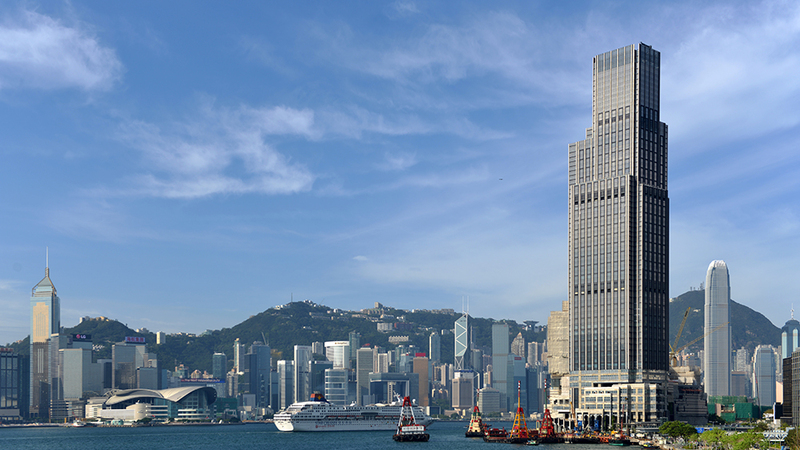 Hong Kong has no lack of high-end super-luxe hotels, which makes the March opening of the Rosewood Hong Kong all the more exciting: This hotel is competing with some of the world’s best urban properties and we are positive it will more than hold its own. With some of the largest rooms in the city and more than 80 percent of them having panoramic harbor views, the hotel features impeccable design by Tony Chi, with rich materials, one-of-a-kind art and thoughtful details like double showerheads, deep soaking tubs and well-stocked bar carts in all suites. The 65-story Kohn Pedersen Fox–built tower will devote 43 stories to the hotel, and there will be 322 rooms and 91 suites, including 18 extravagant signature suites like the 10,764-square-foot Harbour House and Garden House, both of which enjoy wraparound sky terraces with Victoria Harbour views. Other hotel amenities include uniquely designed salons with curated artifacts on each floor; the posh and sophisticated Manor Club executive lounge; the brand’s first urban Asaya, Rosewood’s holistic wellness concept set across two levels; and eight restaurants and bars including an authentic Chinese tea house. Despite the fact that the Maldives keep shrinking, the hotels and resorts on its islands seem to be multiplying. This year will see openings by Baglioni Resorts, Raffles and the one we’re most curious about: the Waldorf Astoria Maldives Ithaafushi. Spanning three islands in the South Male Atoll, the resort will have 10 dining outlets and 138 carefully positioned beachfront and overwater villas. Each lavishly appointed villa will be equipped with a private pool, hot tub and lounge deck area. Some overwater villas will also have magnificent glass flooring for crystal-clear views of the lagoon below. Probably the only thing that will pry you away from the pristine beach is the massive, it-has-everything 21,500-square-foot spa with an extensive outdoor bathing circuit, a VIP spa suite, a hammam suite, four resting pavilions, a vitality pool, a beauty salon and an indoor and outdoor mind and body studio. A gym, an outdoor fitness center, aqua spinning classes and an overwater yoga platform complement the spa’s offerings. Rome’s hotel offerings were getting a bit tired. But la dolce vita is making its way back to the Eternal City- first with the spectacular renovation of the St. Regis Rome and soon, with the arrival of Hotel de la Ville, a Rocco Forte property set to open at the top of the Spanish Steps in May. The historic 18th-century palazzo, which originally opened as a hotel in 1924, will have 104 elegant rooms and suites designed by Tommaso Ziffer in collaboration with Olga Polizzi (director of design for Rocco Forte Hotels). There will be two presidential suites, but you’ll want to book the one on the 8th floor because it boasts private elevator access and spans 1,185 square feet with two terraces, a sitting room, dining room and study. The hotel will also feature three restaurants and cocktail bars headed by executive chef Fulvio Pierangelini, a stylish rooftop bar with stunning views of Rome, and a two-story spa with a thermal concept and five treatment rooms. 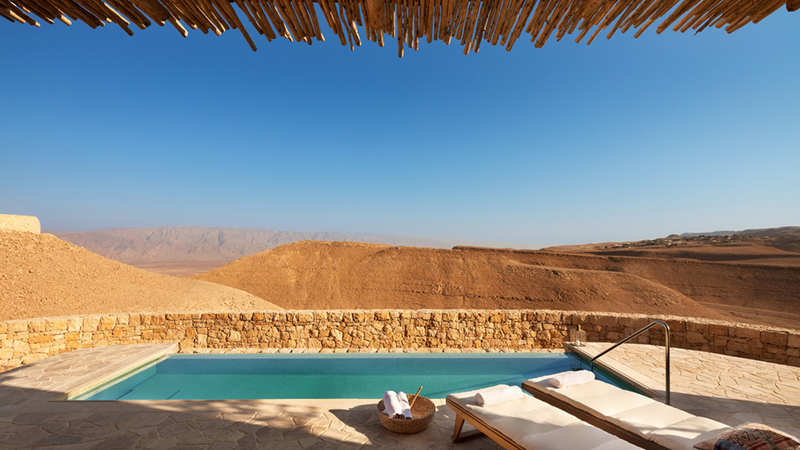 One of the year’s biggest openings is happening in the arid desert in southern Israel, where the closest attraction is the Red Sea, some 50 miles to the south. Set into a dramatic cliff with panoramic views of the desert landscape, Six Senses Shaharut will have 58 suites and villas, including one three-bedroom retreat, when it opens in the third quarter of this year. The villas will be built from local rocks and feature furnishings sourced from local community artisans. The signature restaurant, poolside bar and grill, juice bar and Six Senses’ trademark “Alchemy Bar” will use ingredients harvested from the resort’s own gardens or from local farmers at nearby kibbutzim. The massive spa facilities will include an indoor pool, outdoor lap pool, fully equipped gym, yoga studio with desert views and nail bar. Worried about what to do in the desert? Six Senses Shaharut will also be a home base for exploration, featuring camel stables with an arena and grooming area, and an open-air amphitheater created from the natural terrain that will transform into a cinema beneath the stars. Activities include off-road driving, mountain climbing, mountain biking, camel safaris, craft workshops, bird-watching, wine tours and a tented Bedouin dining experiences. While this list is mainly dedicated to new hotels, we couldn’t help including the return of one very important legend. 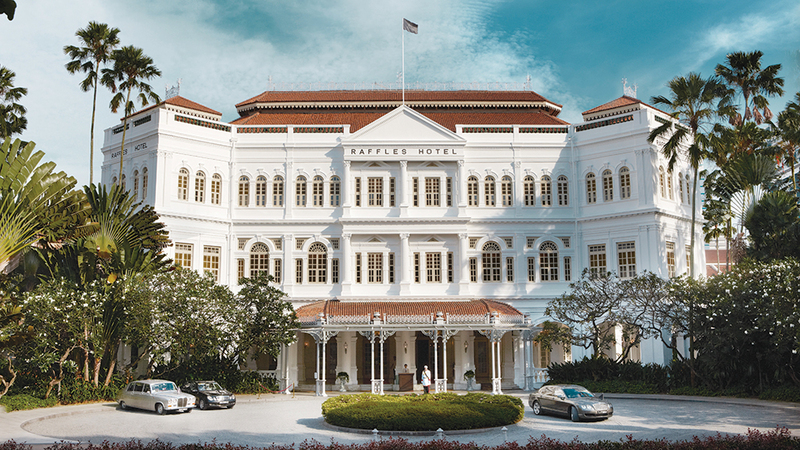 This year, Raffles Singapore, which has been closed to guests for renovations since 2017, will mark its much-anticipated grand reopening with a mid-year unveiling of its 115 suites (an increase due to the new layout of the hotel) all re-created by Champalimaud Design. The two grand Presidential Suites overlook the tranquil Palm Court and feature private verandas, living rooms and dining rooms that are bedecked with carefully curated antiques and artworks. New dining concepts will be helmed by a clutch of renowned chefs, from Alain Ducasse (with his first Mediterranean sharing-and-grill concept) to Michelin-three-star chef Anne-Sophie Pic (with her first restaurant in Asia) to Jereme Leung (with a boundary-pushing Chinese restaurant). If that’s not enough, Raffles will reopen with seven other bars and restaurants, including a fresh new take on the beloved Long Bar, which has returned to its original home in the Arcade. Luxury coupled with the great outdoors is hard to do well. But this year, two new properties are challenging that notion. The first, Blackberry Mountain- a sophomore property from the family behind Tennessee’s famous Blackberry Farm- will open this February. 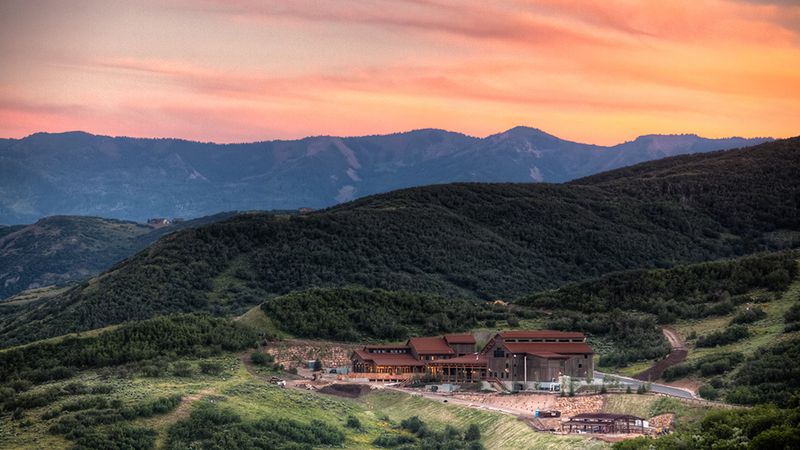 The second- and the one that has us most excited- is The Lodge at Blue Sky, an Auberge Resorts Collection property set to open in Utah’s secluded Wasatch Mountains this May. There will be no glamping at Blue Sky: The lodge will have 46 well-appointed rooms and suites including the plush Creek Houses- spacious, freestanding accommodations situated along Alexander Creek (which also happens to be the property’s main water source). But it’s what’s happening outdoors that will beckon most, with activities like fly-fishing, horseback riding, snowshoeing and skiing offered across the property’s 3,500 acres and beyond. Extra thrilling is a partnership with helicopter outfitter CloudVeil allowing guests to partake in unforgettable heli-skiing and heli-snowboarding on some of North America’s most iconic peaks. Post-activity, guests can escape to the Auberge Spa, replenish at the signature restaurant supplied by the 1.5-acre farm, or book the property’s yurt for a bonfire-fueled marshmallow-roasting session. Our favourite part? The on-site Saving Gracie Equine Healing Foundation where guests can work with rescued horses and cattle. As Bali becomes more and more overcrowded, travellers- and hotel owners- are looking to other islands in Indonesia’s archipelago of unspoiled islands. Enter Sumba, a tropical and relatively unknown paradise with remote beaches, world-class surf, lush jungles and an enthralling local culture. 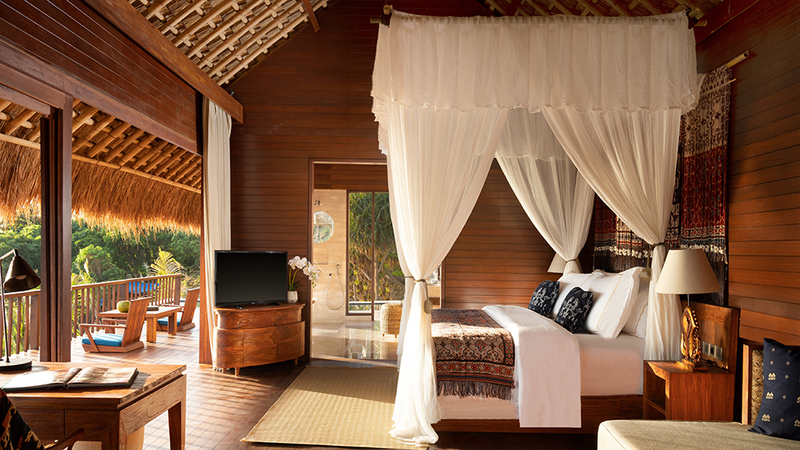 Come this April, the idyllic isle will welcome Lelewatu Resort Sumba, a member of the Preferred Hotel & Resorts set on a cliffside overlooking a private lagoon and the Indian Ocean. Scattered over 10 acres of untouched land, the resort’s 27 stunning villas will be filled with authentic Sumbanese wooden interiors, hand-woven ikat fabrics, indoor marble baths, and private balconies and pools. Guests can sample local delicacies at two gourmet restaurants, be pampered at the Maraga Spa and experience a host of activities including yoga, horseback riding, trekking, and exploring the beautiful coastline, traditional villages, sacred lakes, and waterfalls. Bali who? 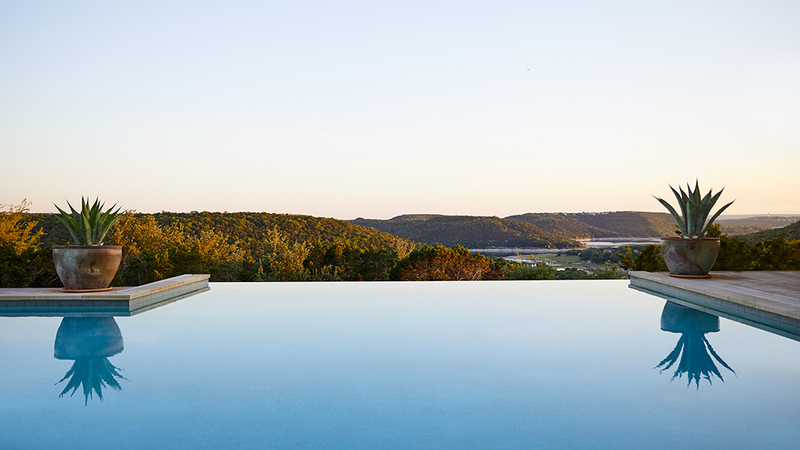 Speaking of horses, Texas’s wild-‘n’-free Hill Country is about to lure wellness seekers from far and wide with the imminent arrival this January of the Miraval Austin. The 220-acre property- Miraval Group’s first resort outside of its lauded flagship property in Arizona- will combine signature offerings from the Arizona property with exclusive only-in-Austin programs and spa treatments. The retreat will include 117 rooms and suites, a 21,000-square-foot Life in Balance Spa, a 4,500-square-foot Body Mindfulness Center, a treetop challenge course, a kitchen for culinary classes and two infinity pools. Skin-care products will be exclusive to the resort: Laurel Shaffer, whose brand Laurel is hyper-focused on natural ingredients, came to Austin from California to develop products special for the property. The resort has also partnered with the nearby Cypress Creek Ranch, where equine therapy and other experiences are offered. Most of all, we’re eager to check out the resort’s culinary offerings, which are poised to seriously upgrade spa food (finally!) by tapping into Austin’s thriving local food scene and focussing on the region’s natural bounty. Namibia is already on fire, with recent openings from esteemed safari-maker Wilderness and top-notch newcomer Natural Selection. 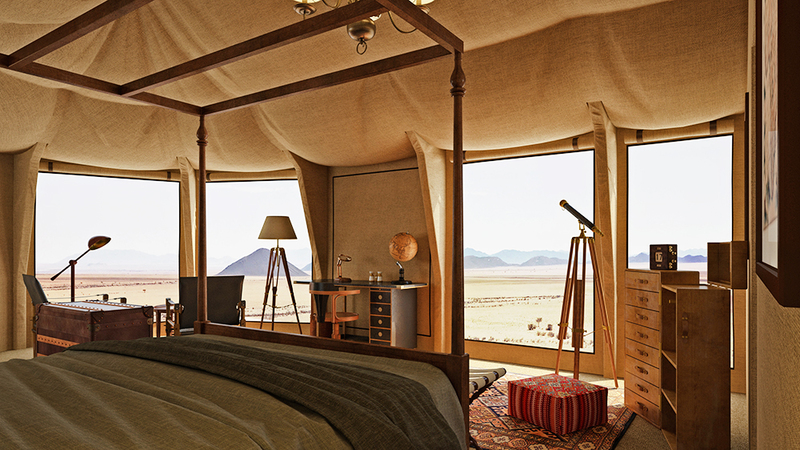 But this summer, the plot thickens in the arid Karas Region, where Sonop, an exclusive lodge set in the southern extremity of the Namib Desert, will open its doors. The brainchild of French hotelier Arnaud Zannier, the lodge will be constructed atop dramatic boulders, with 10 rooms that are richly furnished with antiques made of superior materials, telescopes, colourful carpets and precious wood. Bathrooms- often an afterthought at camps in these parts- will be built around central copper bathtubs and feature rain showers. Also on hand will be a cocktail-and-cigar lounge with a billiard table, a spa, a fitness centre and a heated outdoor infinity pool, all facing the desert’s vastness. Of course, the real reason you’ll visit Sonop is the surrounding desert; the lodge will take guests on 4×4 dune drives and horseback safari rides to glimpse everything from leopards and cheetahs to baboons. We’ve been waiting to see what’s next for the 1 Hotel brand, which currently has two properties in New York City and one in Miami. 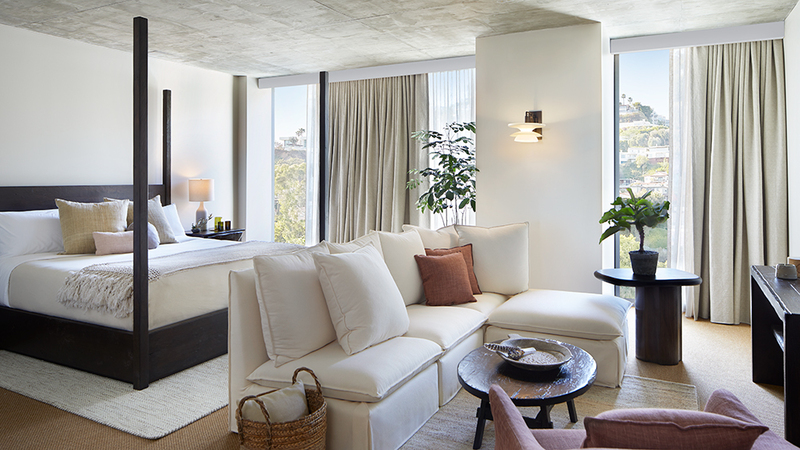 Turns out, they’ve been working on several new locations, including hotels in Los Cabos, Mexico; Hanalei Bay, Hawaii; and Haitang Bay (China) as well as this gem in West Hollywood, which is a takeover and revamp of the old Jeremy hotel. The 1 Hotel West Hollywood, which will open its doors this spring, will sport floor-to-ceiling windows that frame sweeping views of Los Angeles in its 285 rooms and suites. Of course, 1 Hotels are known for taking inspiration from nature so it’s no surprise that native greenery, reclaimed wood, clay tones, marble bathrooms and organic cotton sheets are all part of the new look. In a nod to the brand’s South Beach property, a rooftop pool deck is poised to become a new “it” spot for hopping WeHo. And for those who need to escape the smog, the hotel has thoughtfully connected its two towers with “the Canyon,” a granite pathway running between reclaimed-wood planters that houses olive trees and wild, native plants. Last year, it became clear that round was the new black. Forget four walls, a floor and ceiling- the hottest trend in adventure travel is bubbles. This April, the geodesic look is heading south to Bolivia’s Uyuni salt flats, with the opening of Kachi Lodge, a six-room (or, rather, six-bubble) camp located at the base of the Tunupa volcano. Inside the orbs is surprisingly spacious—there’s even space for a private bathroom and wood-fired stove- but the real decoration is the panoramic views of salt flats that stretch in every direction. There’s even an observatory attached to the main dome for maximum sky views of the salar. Of course, you can’t stay in your bubble forever- especially in this ethereal setting. Activities at Kachi will include hiking (to either a nearby cactus-covered island or the volcano base), mountain biking and visiting the village of Coquesa and its ancient mummy caves. For the first time ever, we might actually stay at the airport on our next visit to New York City. John F. Kennedy International Airport’s TWA Hotel, opening this spring, isn’t your typical airport pit stop. 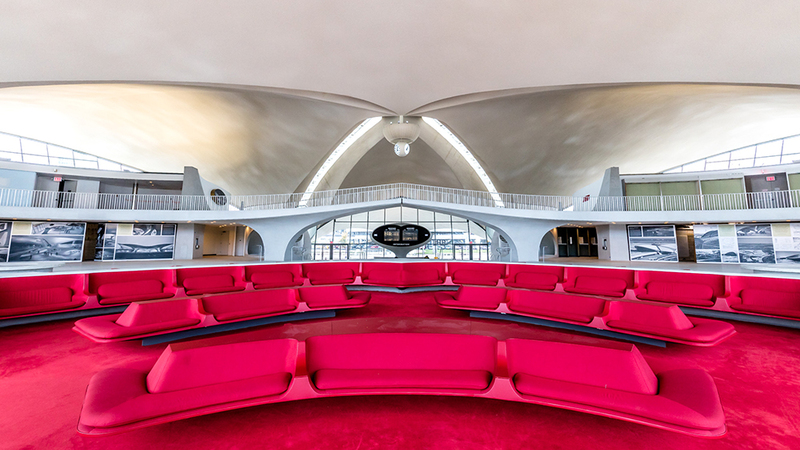 It has been in the making for years and will be housed in the iconic TWA Terminal built by legendary architect Eero Saarinen in 1962. The terminal was designated a landmark in 1994 but ceased operations in 2001, until MCR, one of the largest hotel operators in the United States, stepped in. Connected to JetBlue Terminal 5 via the flight tubes made famous by the 2002 film Catch Me If You Can, the hotel’s 512 rooms will take you back to the terminal’s heyday with authentic Saarinen-designed mid-century modern Knoll furnishings, martini carts, vintage rotary phones and terrazzo-tiled bathrooms with Hollywood-inspired vanities. The massive property will also feature 50,000 square feet of event space, a 10,000-square-foot fitness center, a rooftop pool and observation deck, a museum devoted to TWA and the mid-century modern design movement and six restaurants and eight bars, including a recently announced Jean-Georges Vongerichten restaurant called Paris Café. Plus, you’ll be able to have a cocktail on an actual airplane while still on the ground: The hotel recently got its hands on a 1958 Lockheed Constellation L-1649A Starliner airplane called Connie that will be transformed into a one-of-a-kind cocktail lounge and event space. Wheels up! Discovering the undiscovered is becoming harder and harder. But on a near-deserted island in the Mergui Archipelago of Myanmar, which was until recently off-limits to all visitors, Awei Pila is that rare place that has remained truly unknown. Set to open this month, the resort will share the island of Pila with a community of some 70 Moken fishermen—and no one else. Nestled among stunning atolls and coral reefs within an archipelago of 800 islets, most of which are uninhabited and untouched, this is one of the world’s last virgin paradises. 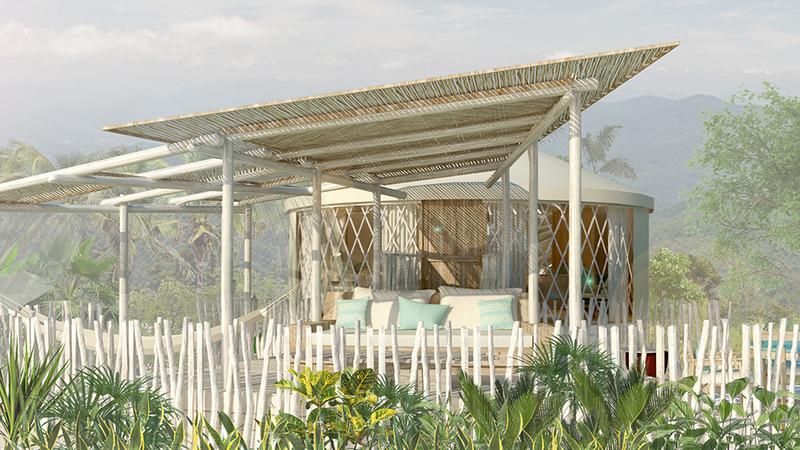 Awei Pila will have 24 tented villas fronting a white-sand beach, an open-air restaurant and a spa. The island has a single source of fresh water, 10 sandy beaches, a thriving bird population (including hornbills) and coves brimming with fish, dugongs and turtles. With sustainability and eco-consciousness at its core to protect the island, Awei Pila is a plastics-free resort with a resident marine biologist overseeing sustainable policies. 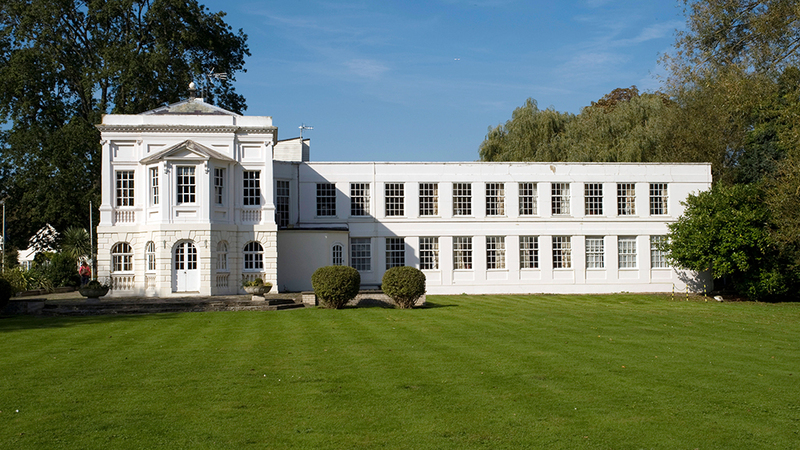 A luxury island hotel in the middle of England? ’Tis true. 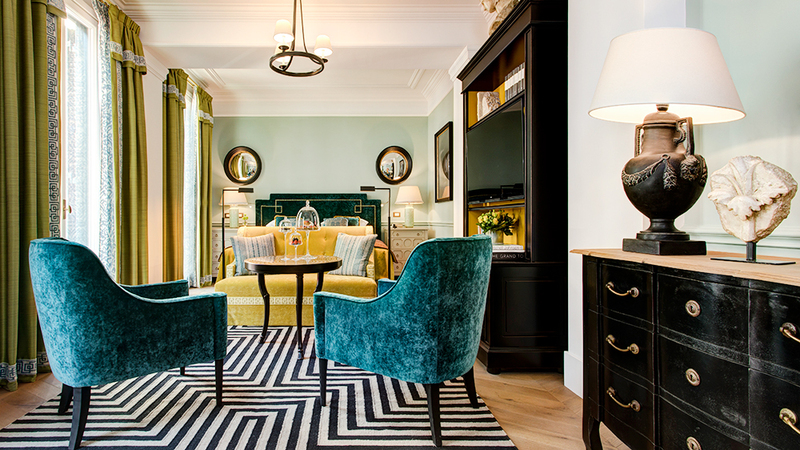 Perched on the River Thames in the historic village of Bray in the English countryside, the 800-year-old Monkey Island Estate, which will be a member of Small Luxury Hotels, is undergoing a complete renovation by YTL Hotels and Champalimaud Design. Monkey Island, which was founded by monks (not monkeys) and has been frequented by monarchs, aristocrats, writers, and artists throughout its storied history, will be restored and redesigned to celebrate its lore and history. We’re most eager for the floating spa—the first of its kind in Britain—on a custom-built barge featuring a wheelhouse reception, Elixir Bar, and three treatment rooms. In a partnership with the British spa brand Moss of the Isles, the signature treatment will be the Monks Elixir–Botany and Beauty, which begins with a cup of a monk-brewed ancient herbal tonic followed by a full-body massage enhanced by herbal packs to relieve stiffness. Accommodations include 38 boutique bedrooms, three deluxe suites and six individual residences spread across the seven acres of stunning grounds. Another reason to go to Bray? It’s the only village in the world that lays claim to two Michelin-three-star restaurants: Heston Blumenthal’s The Fat Duck and The Waterside Inn by Alain Roux.